The Hunter Gloves JR are your go-to gloves for trail biking. The fit complements the natural characteristics of your hand and lets you ride in comfort all day long. The gloves have a pre-curved fit, and perforated fingers to ensure a natural feel, yet optimal protection. 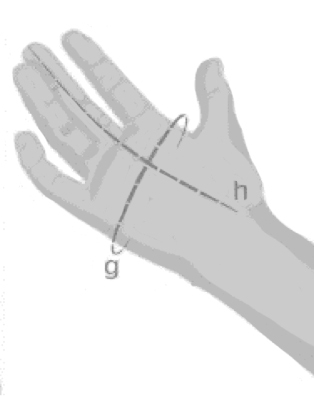 For the length (h): Measure the distance between the wrist and the tip of the middle finger. The circumference (h) of your palm should be measured at its widest point. Recommended size is an indi- cation.not garment dimensions.